New GLD Live Digital Mixing System Allen & Heath. Finally, a professional digital mixing system at a distinctly analogue price! We can't wait to unveil our most accessible digtal mixing system yet in January 2012. New ultra-portable multimedia projectors by Panasonic. 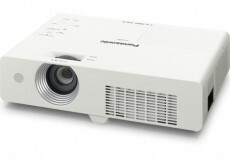 The new PT-LW25H, PT-LX30H and PT-LX26H by Panasonic are designed for boardroom and classroom environments and will be available in December 2011. New DMT Kling-Net P25 Pixelstrips & Pixelbatten. By introducing the DMT Pixelstrip and DMT Pixelbatten, DMT introduces a new and revolutionary concept which makes pixel control easy and affordable. 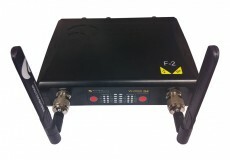 Wireless Solution W-DMX BlackBox MK2. Wireless Solution Sweden AB announces the latest addition to the G4 line, the W-DMX BlackBox MK2, launched during PLASA and shipping Q4 2011. 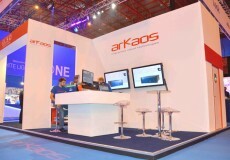 ArKaos reports a big success at PLASA 2011. 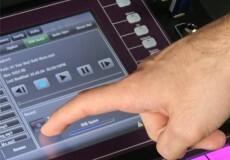 ArKaos reports a successful PLASA 2011 with the launch of its new protocol, Kling-Net. 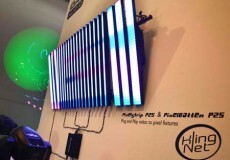 ArKaos launches Kling-Net at PLASA 2011. ArKaos, the world-leading provider of technology for live visual performances, has chosen PLASA 2011 to launch its radical new network protocol, Kling-Net. 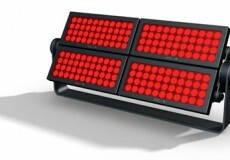 PLASA 2011: SGM debuts multiple LED washlight. SGM's CC-4 is a four-bank high-powered multiple LED washlight with an enviable power output and with its IP65 rating it is designed for architectural use.